The Supreme Court today asked the Delhi Police Commissioner to file a report on the steps taken on the complaint of death threats filed by Naushad Ahmed Khan, president of the Indian Young Lawyers Association whose women members filed a PIL for gender equality regarding entry into the Sabarimala shrine. The court had recently orally observed that there shouldnt be any bar on entry of women. A bench headed by Justice Dipak Misra also asked the police chief to ensure that security is provided to Khan and no harm is caused to him. But the court did not allow him to withdraw the petition. "We issue notice to commissioner of police seeking to know what action has been taken in persuance of the FIR. He shall also ensure that such attempts (threats) shall be crippled at the beginning. The commissioner shall also make certain arrangements so that the association President's security is maintained and no harm is caused". "These are attempts to create a dent in the fundamental concept of rule if law which is sancrosanct in a democratic polity" said the court. "Access to justice cannot be dented by any person or authority. It can only be controlled by a court of law and individual perception has no room" justice Misra said in the order. Khan said he had received hundreds of death threats, including some to blow up his house, if he did not drop his plea in the SC and hence sought protection for his life. Khan said he was not directly involved in the PIL. “Why can you not let a woman enter? On what basis are you prohibiting women entry... What is your logic? 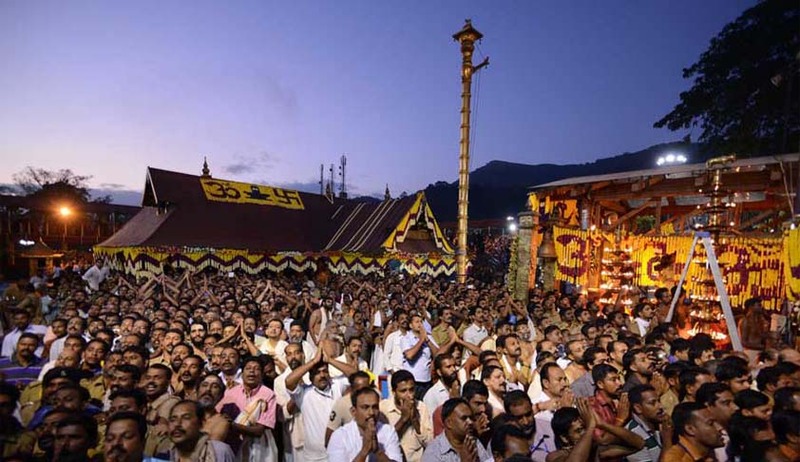 Women may or may not want to go [to worship at Sabarimala], but that is their personal choice,” Justice Misra had asked. When the board countered that the prohibition was based on custom followed for the past half-a-century, Justice Misra asked what proof it had to show that women did not enter the sanctum over 1,500 years ago. Constitution rejects discrimination on the basis of age, gender and caste, he observed.